Kazuo Matsui’s pro baseball odyssey has finally come to an end. TOKYO – Even at age 42, the end came more quickly than Kazuo Matsui imagined. Matsui’s 25-year pro career ground to a halt last month at MetLife Dome outside Tokyo, where the Seibu Lions were eliminated from Japan’s postseason in the final stage of the Pacific League’s Climax Series. 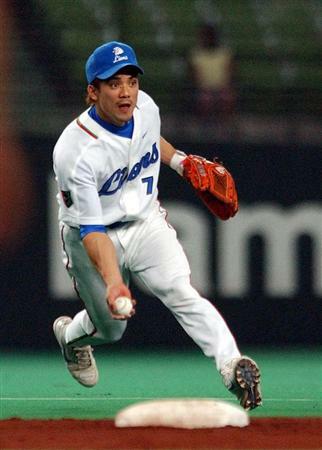 A shortstop for most of his career, Matsui returned this year to Seibu for the first time since 2003 as an outfielder and did not see any action during the series. “Last year, people around me said that considering my age and my numbers, it would be normal to think about retiring, but I’d never even considered it,” Matsui said this summer about why he turned down a coaching job with the Rakuten Eagles, for one last chance to play. Matsui, who spent seven years in the big leagues with the Mets, Rockies and Astros, returned to Japan in 2011 with Rakuten. But by 2016 he’d become a utility man. But late this season, in his second-straight year of scant playing time, Matsui bowed to the inevitable. Matsui leaves the field as a player for the last time on Oct. 21, 2018. 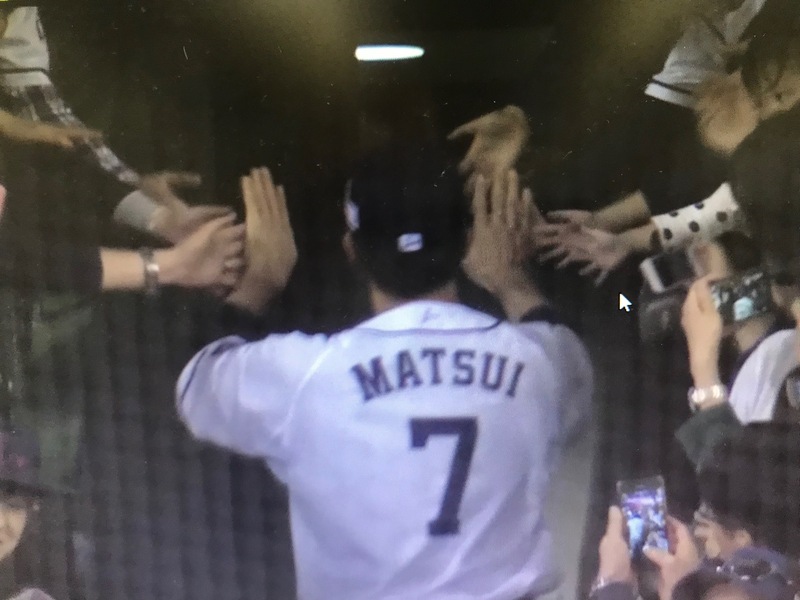 On Oct. 21, before he walked from the field for the last time as a player, Matsui trotted to left field, bowed and bid farewell to the team’s fans. Then as he retraced his steps toward the field exit behind home plate, the four-time Golden Glove winner stopped at the shortstop’s position. 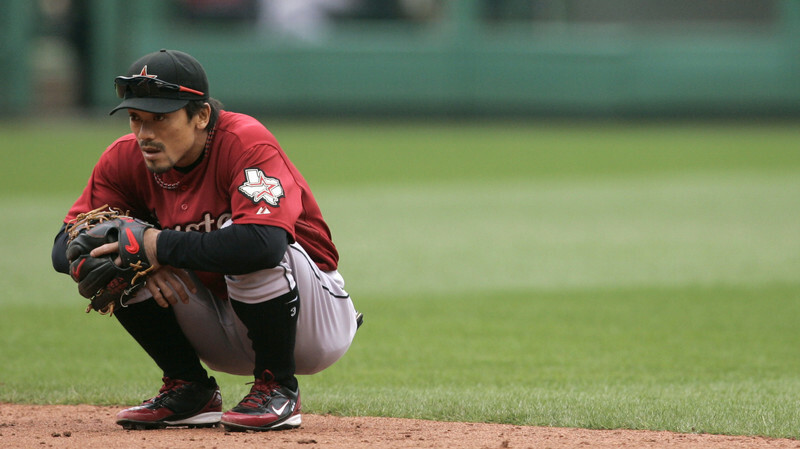 Matsui kneeled and touched his hand to the turf he’d patrolled for 8-1/2 years before leaving for America as a free agent in 2004. Fifteen years ago, Matsui was 28 and coming off two 30-plus home run seasons. He had turned a career-high 96 double plays in 2003. A speedy, switch-hitter, Matsui had been the PL’s MVP at the age of 21. From 22 to 26, he had arguably been Japan’s best player in a discussion that included PL rival Ichiro Suzuki and Central League slugger Hideki Matsui. But unlike his outfield compatriots, Japan’s first major league infielder’s overseas odyssey was less an adventure and more a lesson in survival. Lower back trouble — that had plagued him as a star pitcher in his final year of high school — resurfaced during his first season with the Mets. Howe had first seen Matsui in 2002, when as Athletics skipper he managed a team of major league all-stars in a postseason tour against an all-star team from Japan’s pro leagues. Matsui, who’d also played in a similar series in 1998, was one of the series’ outstanding players. 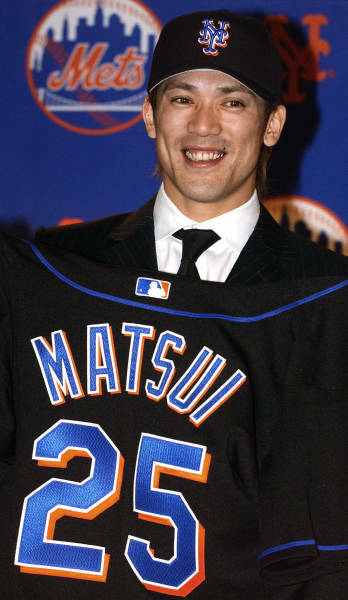 A year after a sparkling 2002 postseason series against major leaguers, Matsui was a Met. The postseason games against MLB players proved an eye-opener for Matsui as well. In 1998, however, the belief remained strong that only Japanese pitchers could cut it in the majors. Vinny Castilla of the Rockies, a member of the 1998 tour, was quoted by Japan’s Hochi Shimbun as saying it would be difficult for Ichiro – then a three-time MVP and a five-time batting champion — to hit in the majors. After Ichiro and Hideki Matsui disproved such notions, the Mets took a chance that Kazuo Matsui could thrive in a major league infield. Although durable in homeland, Matsui became injury-prone in America, starting in spring training, where the different tempo can take a toll on Japanese imports. Spring training in Japan means all-day workouts from Feb. 1 with frequent days off for rest and recovery. This segues into daily practices and exhibitions from the end of February until Opening Day. Matsui said that while new players understand they can’t work as much each day as they are used to and that stresses players out. Matsui doesn’t say whether or not over-training contributed to his own fitness issues, but he said players coming to the States can easily get lost if they try too hard to adjust to perceived differences in the style of play and expectations. Did that happen to him? “It happens to some players,” he said. A finger injury kept Matsui from fielding in preseason games until the middle of March, and he injured his right wrist a week before Opening Day. But he answered the bell, going 3-for-3 with two doubles, two walks, and a homer in his first big league at-bat. It was, however, an offensive performance he wouldn’t match until a five-RBI day in a demolition of the Yankees on July 2. Without the lively balls employed by PL teams in his final years in Japan, and learning to deal with take-out slides at second base for the first time in his career, Matsui was faced with a mountain of adjustments. Howe, whom Matsui named as one of the people who had the biggest impacts on his career, understood Matsui’s plight. Despite the injuries frustrations and disappointments – or perhaps because of them, Matsui believes that in the big picture, his seven years in the States taught him things he might not have learned in Japan. Immersed in an ethos in which orders are followed and questions not asked, Japanese athletes have earned a reputation for being extremely coachable. For Matsui, playing abroad meant experiencing game he learned as a child through a different paradigm. In the majors, he felt that responsibility to one’s craft was as much about initiative and problem solving as the exhaustive obedience expected in Japan.